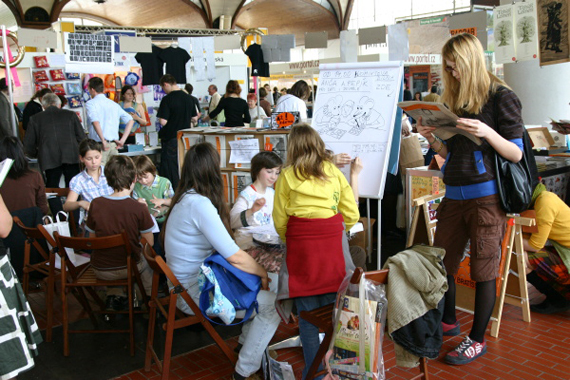 The 16th International Book Fair and Literary Festival 2010 (Svet Knihy) will be taking place from Thursday 13th May until Sunday 16th May at the Prague Exhibition Grounds (Vystaviste) in Holesovice. The focus of the Fair will be on literature for children and young people with the aim to foster Intercultural understanding through literature. KIP Competition Announcement: Congratulations to KIP competition winners: Oleksandr, Marta & Adriana! 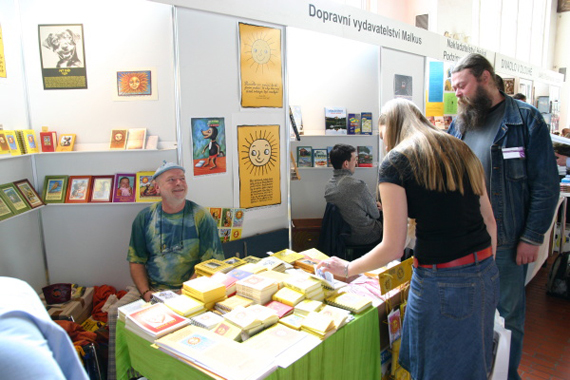 A visit to the Fair provides a wonderful opportunity to see many Czech and foreign language publishers and their latest book offerings under one roof. Another bonus is the chance to choose and buy from an extensive variety of children’s books which may not always be available at a single retail store. Karen York, who regularly contributes to this blog, will be signing and selling copies of her photographic children’s book Susie and Tom Travel the World: Prague at Stand L705 for the duration of the Fair. The book which has been on sale since late 2009 is also available at Big Ben Bookshop and the downtown and airport branches of Blue Praha. Don’t miss the opportunity to meet the author in person and have your book signed with a special message or birthday dedication from Karen. Three readers also have the opportunity to win 2 complimentary tickets to the Fair and a signed copy of Karen’s photographic children’s book on Prague. 1. When will Prague’s 16th International Book Fair and Literary Festival be taking place? 2. Where will the Fair be held? 3. What is the title of the photographic children’s book, which KIP contributor Karen will be selling and signing copies of during the Fair? The first 3 people to email the correct answers to all of the above questions will be the winners of 2 complimentary (1 day) entry tickets to the Fair and a signed copy of the only photographic children’s book on Prague Susie and Tom Travel the World. Each ‘pack’ is valued at over 500 CZK each. The winners will be announced on Monday 10th May. Good luck! COST: 120 CZK entry fee on Thursday and 100 CZK p/p on all other days. DIRECTIONS: Metro C (red line) to Nadrazi Holesovice and then by tram 5,12,14,15, or 17. Get off at tram stop ‘Vystaviste’. Veer towards the right from the main entrance to the exhibition grounds (about 500m from the tram stop). Paid parking (CZK 40 per hour is available in front of O2 Sports Stadium).